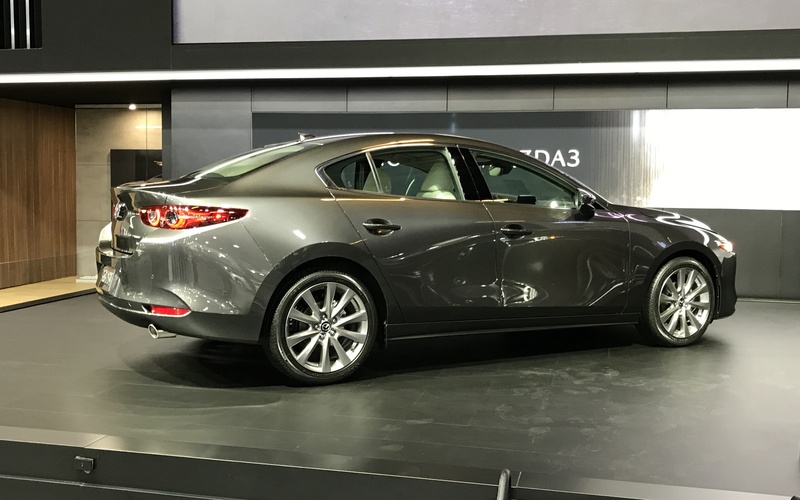 At the Montreal Auto Show, Mazda announced Canadian pricing for the new generation of its popular Mazda3. For the 2019 model year, the Mazda3 will start at $18,000 before freight and delivery charges. 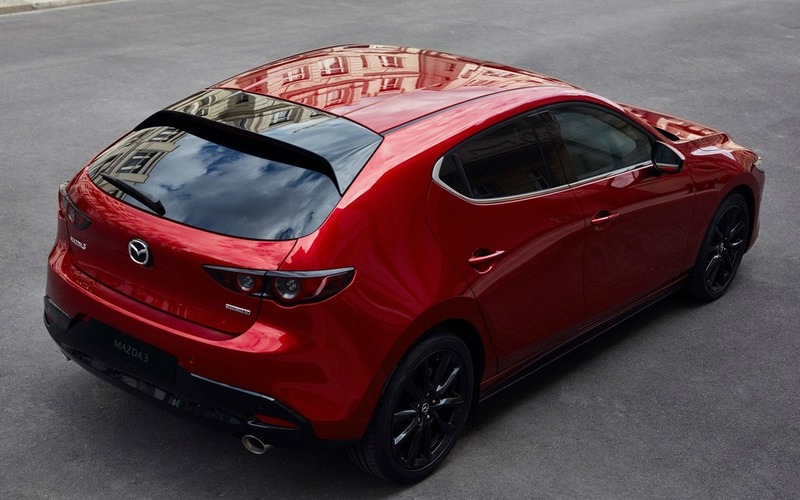 The Mazda3 Sport five-door variant will be available from $21,300. As is the case for the outgoing generation, the 2019 Mazda3 and Mazda3 Sport will each be offered in three trim levels: GX, GS and GT. The top-level GT will get a 2.5-litre engine that develops 186 horsepower and will retail from $26,200 for the sedan and $27,200 for the five-door. To obtain an all-wheel drivetrain, which is the big addition in the new 2019 Mazda3, Canadians will have to spend at least $26,000. The i-ACTIV AWD will be available on GS and GT trims and can only be matched with an automatic transmission. Just like in previous generations, sedan and five-door hatchback versions of the Mazda3 will be available. The two very distinct silhouettes were penned with the Japanese brand’s KOKO—Soul in Motion design language. While it’s the new design that grabs attention, the all-wheel drivetrain is without a doubt the element that triggered to most discussions during the launch of this new model. However, base trims will soldier on with a front-wheel drivetrain. As for powertrains, the 2019 Mazda3 is still equipped with a 2.0-litre four-cylinder engine, while a 2.5-litre engine is optional. The latter’s output climbs by 2 little ponies for a total of 186 horsepower, with torque peaking at 186 pound-feet. 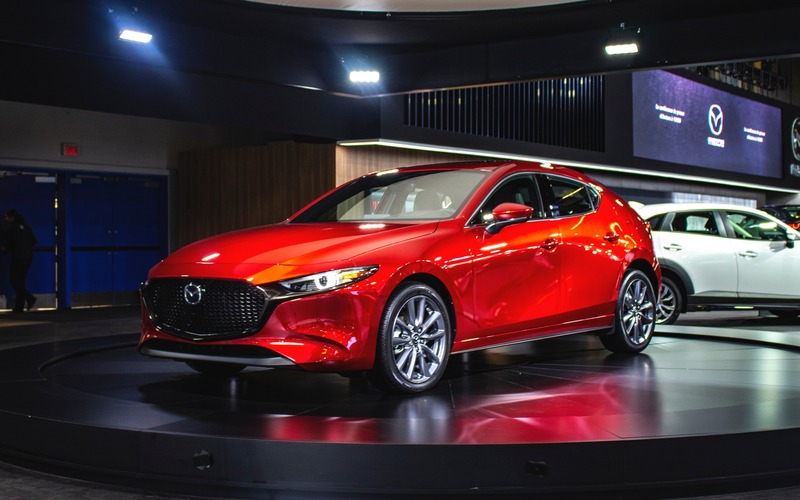 The 2019 Mazda3 is available with a six-speed manual transmission or a six-speed automatic with the 2.0-litre engine, while the bigger mill is connected solely to the automatic gearbox. A third powertrain is expected to join the lineup; called SKYACTIV-X, this engine promises a fuel economy improvement of 20% to 30% compared to the base 2.0-litre unit. 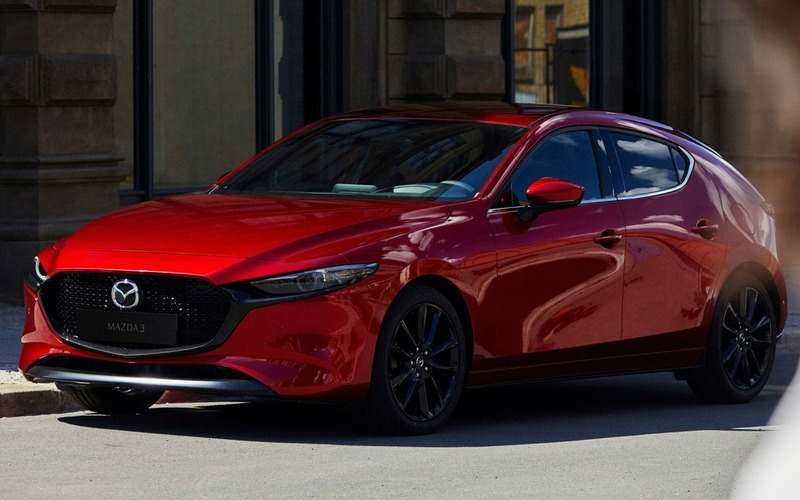 The new Mazda3 will arrive in Canadian dealerships in the first quarter of 2019. At the Montreal Auto Show, Mazda also presented the CX-5 Signature as a Canadian premiere. In addition to boasting impeccable fit and finish that includes Nappa leather upholstery and Abachi wood trim, the SUV has been fitted with a turbocharged, 2.5-litre four that develops up to 250 horsepower. 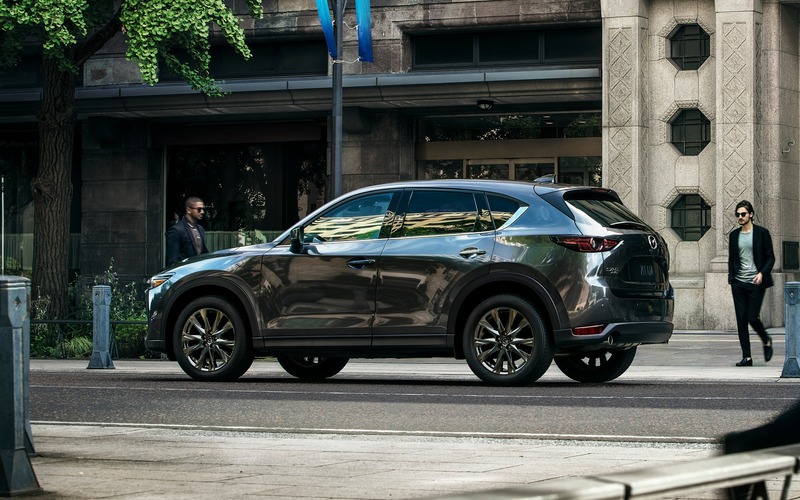 This engine has already proved itself under the hoods of the Mazda CX-5 and the Mazda6. As is the case with the 2019 Mazda3, the CX-5 Signature features Apple CarPlay and Android Auto integration. It also receives a Bose 10-speaker stereo, heated and ventilated front seats, heated rear seats and a heated steering wheel.